Get the most out of your WWOOF experience! Looking to make the most of your WWOOFing experience and your journey in Australia? Get a copy of the “WWOOFers’ Handbook”, a practical and personal guide to being a Willing Worker. 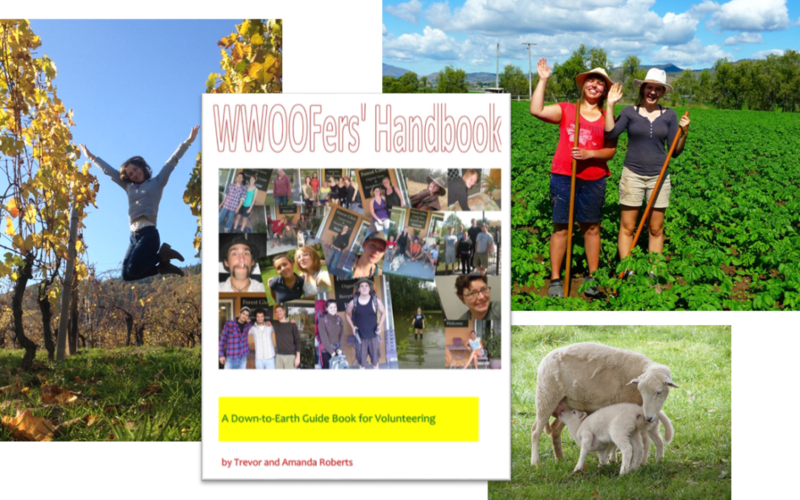 This book is written by Hosts, for WWOOFers (Volunteers). It tells you what to expect when you go to a host farm, how to approach the WWOOFer-Host relationship and offers useful tips on how to make your experience a truly memorable one! The book includes helpful information such as defining volunteering and its pertinence to WWOOFing, helping you determine if volunteering is for you, what you need to do to prepare for volunteering, finding a Host, induction to the workplace, work management and parting company. The book also contains a set of helpful resources, including advice on making your travels safer. It’s only $12! Click here to purchase this book instantly as a PDF download! This book complements the book for Hosts, “WWOOF Hosting: A Practical Guide”. While you’re there, don’t forget to check out the other great WWOOFing accessories in our Shop!